Each year, Celent (www.celent.com), a leading research, advisory and consulting firm that focuses on financial services technology, surveys property/casualty insurance company CIOs, asking them about their priorities for the coming year. In order to meet their business goals, CIOs must make decisions about each application in their application portfolios: replacements, significant improvements, routine maintenance or no investment. And, one application that CIOs should put at the top of their lists to positively impact both growth and retention is Customer Communication Management (CCM). In property/casualty insurance, that impression encompasses the entire customer experience. It’s made up of many individual interactions and encompasses all forms of communication, channels and parties, whether they are automated systems, employees, agents or partners that act on behalf of the organization. That aggregate experience is instrumental in boosting your customer-satisfaction ratings, building brand loyalty and attracting new customers—all drivers of growth. In addition, cross-selling and upselling additional products or services to customers are important aspects of growth. It’s easy when you really “know” who your customers are. Using what you’ve captured about your customers’ likes and dislikes can extend your relationships with them but only if you know how to communicate with them. This always seems to be an afterthought for most insurers that spend thousands (sometimes millions) on “big data” initiatives. And, even the insurers that do “get it” use time and resource-consuming manual processes to generate communications. Not only does this waste money and risk missing opportunities, it also allows for errors that can cost you more than just money—it can cost you customers. 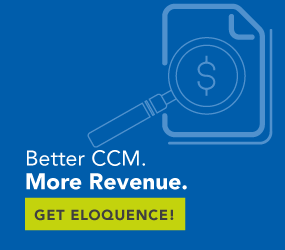 CCM can help you create new customer relationships by combining easy data acquisition from core business applications and databases with a powerful rules engine to deepen personalization and accuracy of content within your communications. Through centralized management of your entire communications library, CCM ensures consistency across all of your communications no matter how they are generated (in high-volume batch or individually in real time) or how they are delivered (printed documents or electronic communications). And, with the ability to dynamically insert images (e.g., TIFF and JPG), PDFs and message lines into any customer communication, you have the tools to really engage prospective customers and propel your growth. In the disruptive world of property/casualty insurance, customer retention is a daunting task. A continually widening variety of products and providers increases customers’ sensitivity to price, which weakens their loyalty. One way to strengthen that loyalty is by delivering superior customer service. The level of care you provide to customers is often more important than the product or service you provide. The key to delivering superior customer care is responding faster to inquiries and delivering a more personalized experience. Your customer-facing employees must be able to solve problems and get answers to your customers quickly and accurately. From the customer’s perspective, the experience should be easy, fast and thorough. CCM provides the tools you need to deliver this kind of customer service. Business-line users such as claims representatives can assemble, generate and deliver personalized communications “on the fly” even while those customers are still on the phone. Business-line users can quickly pull together personalized documents with confidence by selecting from predefined paragraphs, images, logos and signatures, or by supplying freeform text. With CCM, you do more than empower your employees; you inspire them to do what they do best—deliver the exceptional care your customers crave. 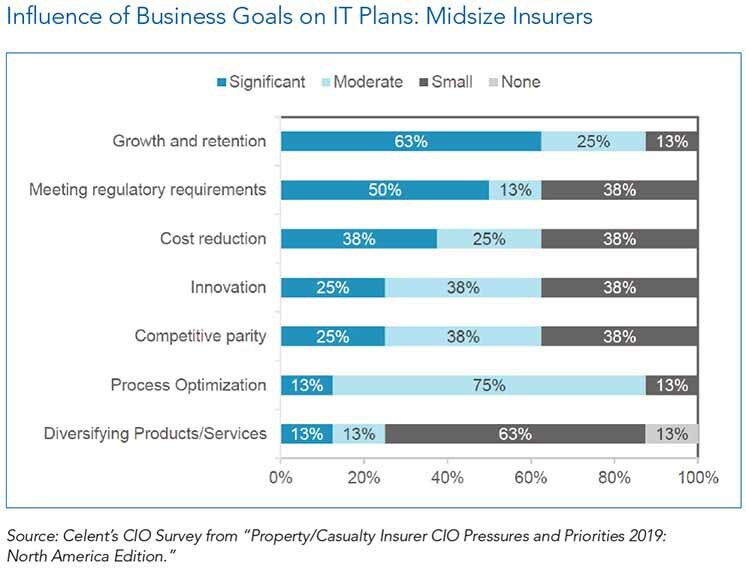 In their pursuit of growth and retention, property/casualty insurance CIOs across all segments—small, midsize and large—are wrestling with the challenges of a disruptive landscape and investment decisions for each application in their application portfolios. One application that CIOs should actively consider to positively impact both growth and retention is Customer Communication Management (CCM). CCM applications provide the tools every insurer needs to acquire new customers, retain existing ones and extend the customer relationship through better communications.